These pictures come from what was otherwise a family vacation trip up to Ottawa and Montreal over March school break, but there’s always some radio to be had on a Fybush family trip, and in this case it started about three hours out of home as we zipped through Watertown on our way to the Thousand Islands Bridge. 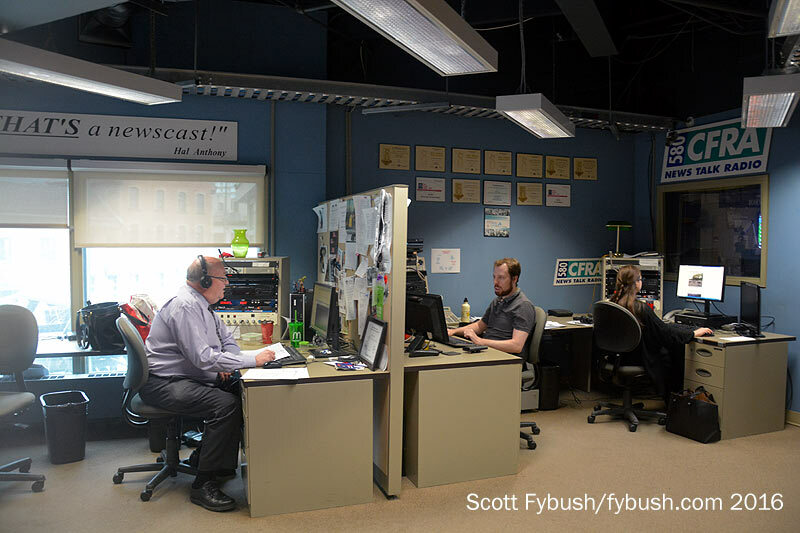 Over the last few years, we’ve spent some quality time at other Watertown facilities, including WWNY-TV and the Stephens cluster. 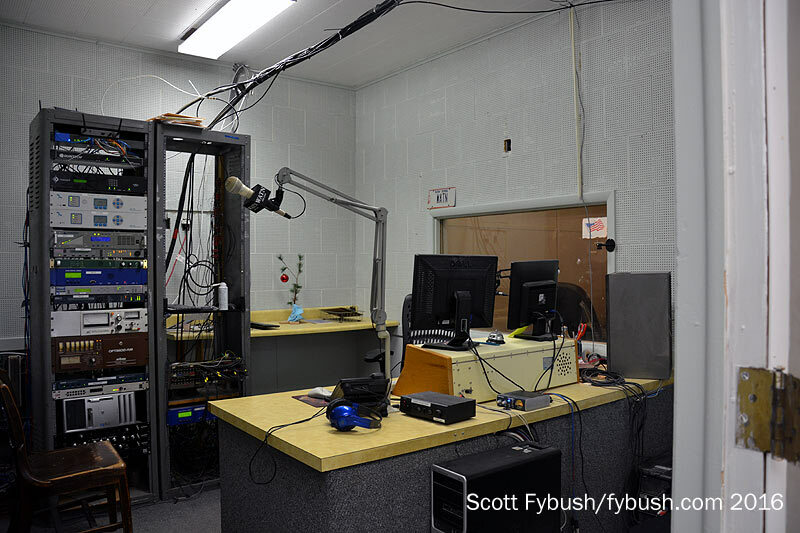 This time out, we were eager to see the radio competition in town, Community Broadcasters’ cluster based at the longtime Wealtha Ave. facility of WATN (1240). 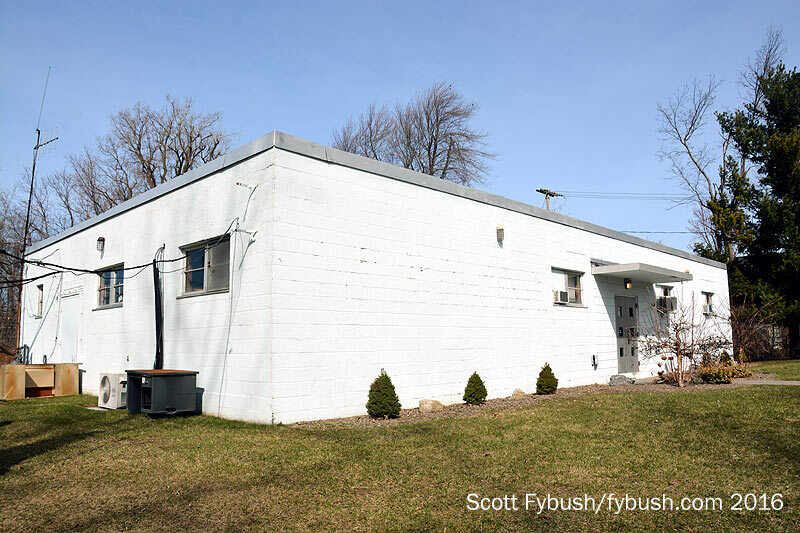 WATN has spawned a big group of FM sisters here, all packed into a small building that had just undergone some renovation. 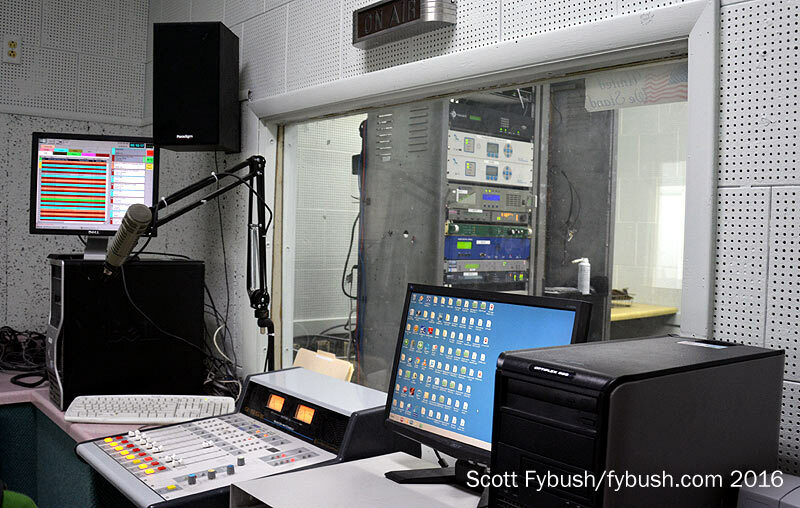 See that window across from the main studio console in the WATN control room at the center of the building? 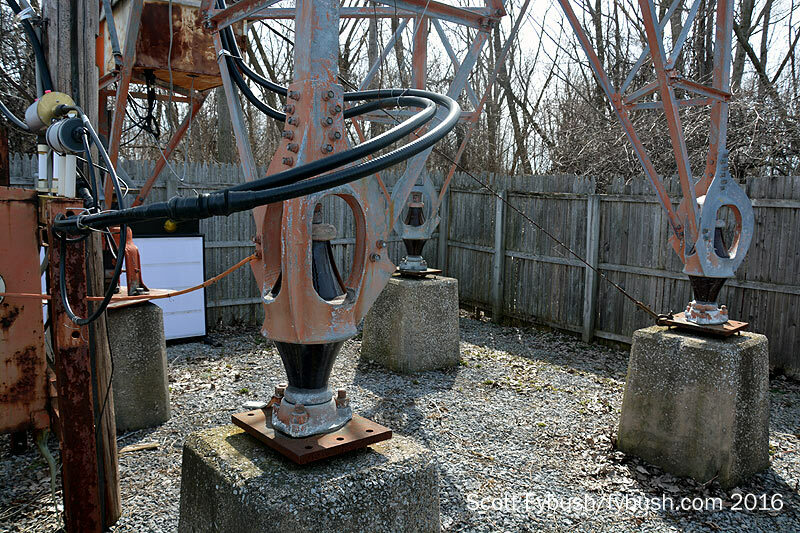 Just a few months earlier, that space had been occupied by a vintage tube transmitter and equipment racks – and while we were in Watertown, so was our good buddy Tom Ray, who’s been rebuilding things here. 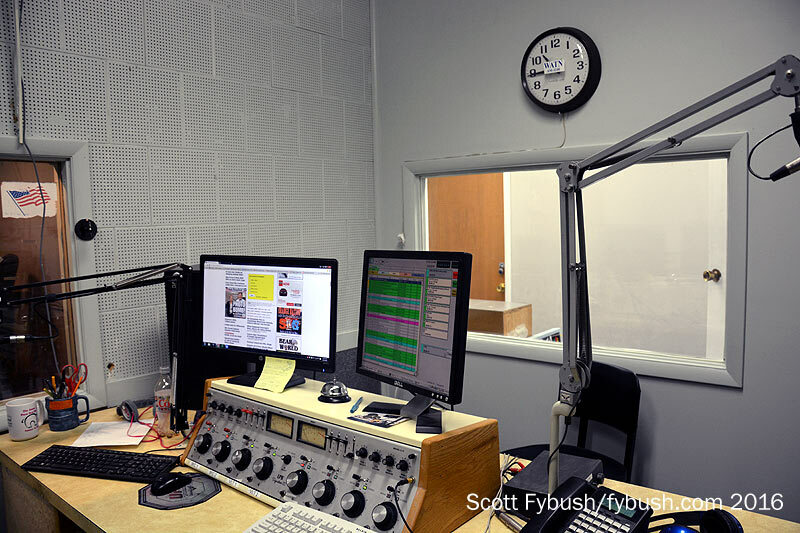 Down at the end of the hall here, another studio (to the left as you stand in WATN) is home to “Real Rock” WOTT (94.1 Calcium), the most recent signal to sign on here. 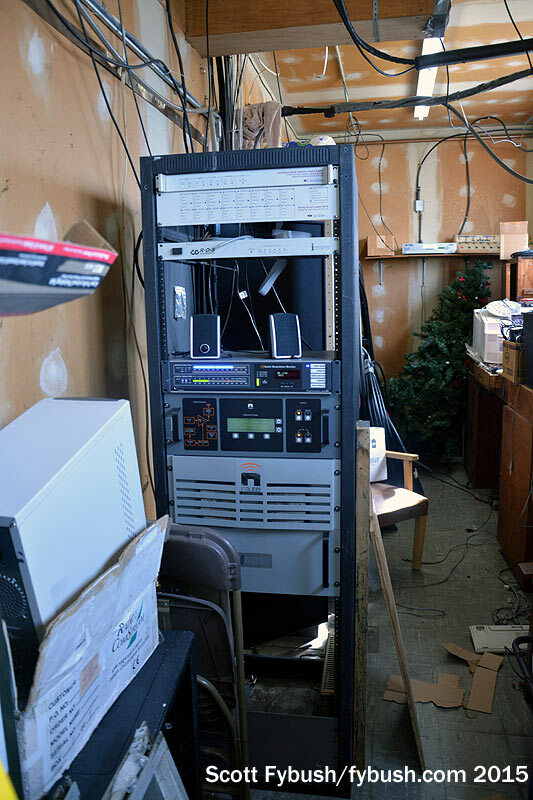 The new WATN transmitter, a sleek little Nautel, is tucked into a storage room in the back corner of the building, where it barely takes up any room at all. 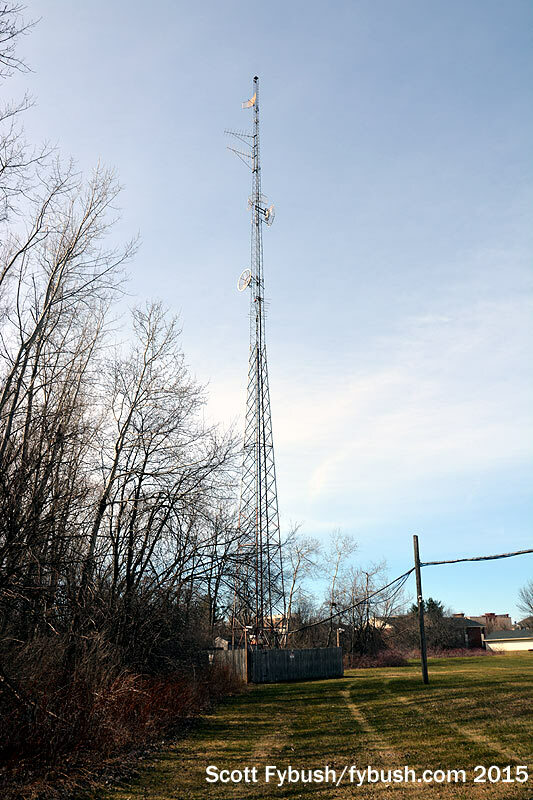 The WATN tower off to the side of the building is laden with STLs pointing at all the different transmitter sites these stations use: WBDR, WOTT and WTOJ on the TV towers in the hills east of town, WEFX to the southwest. After our WATN visit, we cross the for-real border an hour or so to the north, and a couple of hours later we’re strolling the streets of Canada’s capital city. Ottawa is a delightful place to visit even in the coldest of weather, especially because so much is within easy walking distance if you happen (as we did) to be staying right in the heart of the city. 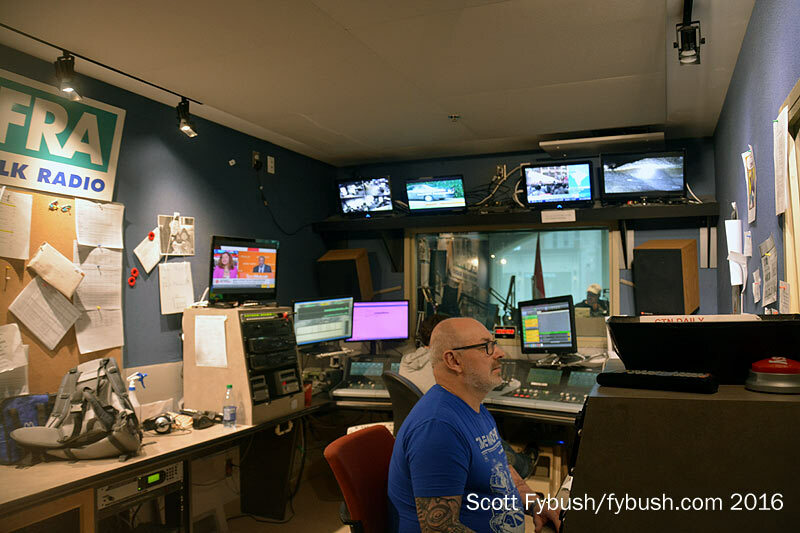 Once upon a time, there wasn’t even a walk involved for guests of the historic Chateau Laurier hotel to visit CBC Radio – from 1924 until 2004, the local CBC radio studios were up on the hotel’s top floors! 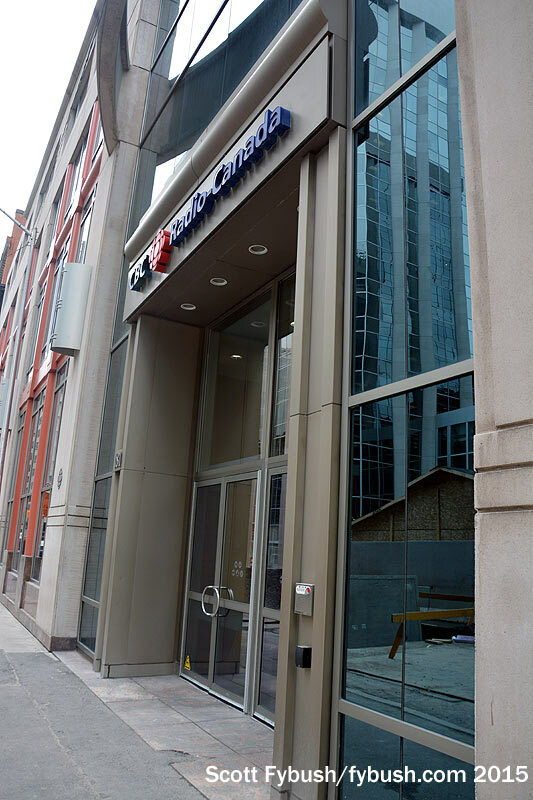 They’ve since moved to a new facility on Queen Street, a block south of Parliament Hill, now shared with the local CBOT-TV newsroom. 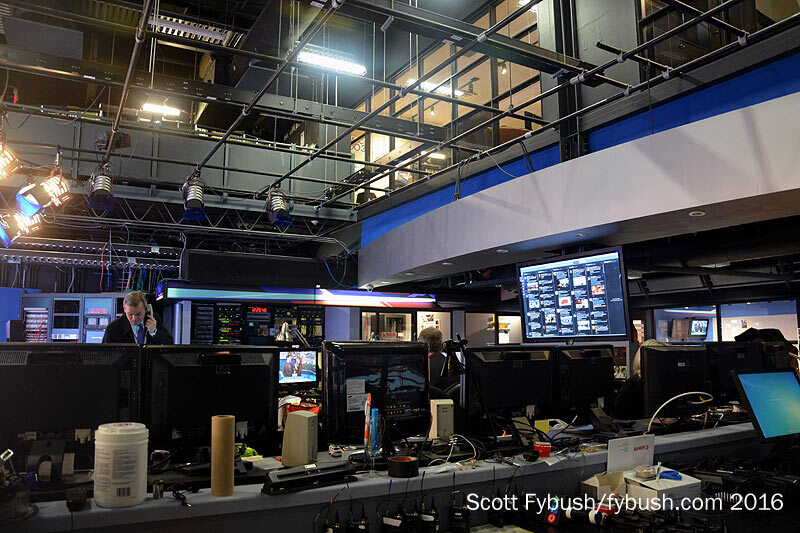 We couldn’t get in for an impromptu tour there, alas, but we were welcomed in to CTV’s Ottawa operations just across the Rideau Canal in the Byward Market area. 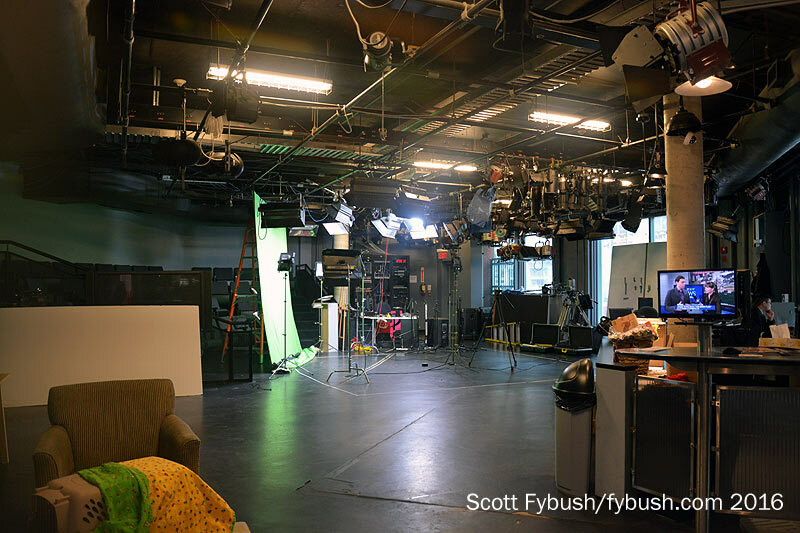 As with CHUM’s CityTV stations, “RO” was heavy on audience participation: it did its news and other programs from a streetfront studio right off the lobby, which now sits mostly unused. 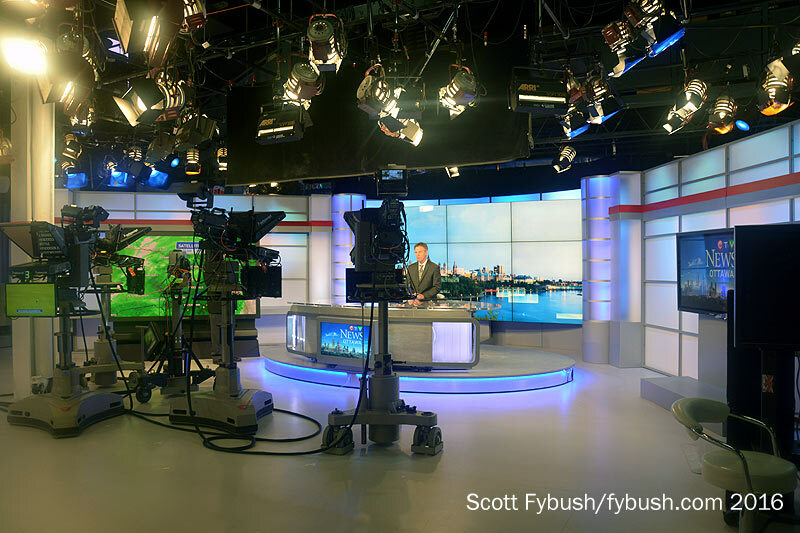 Today, the “CTV Ottawa” newscasts emanate from a relatively staid newsroom/studio that runs the length of the left side of the building. 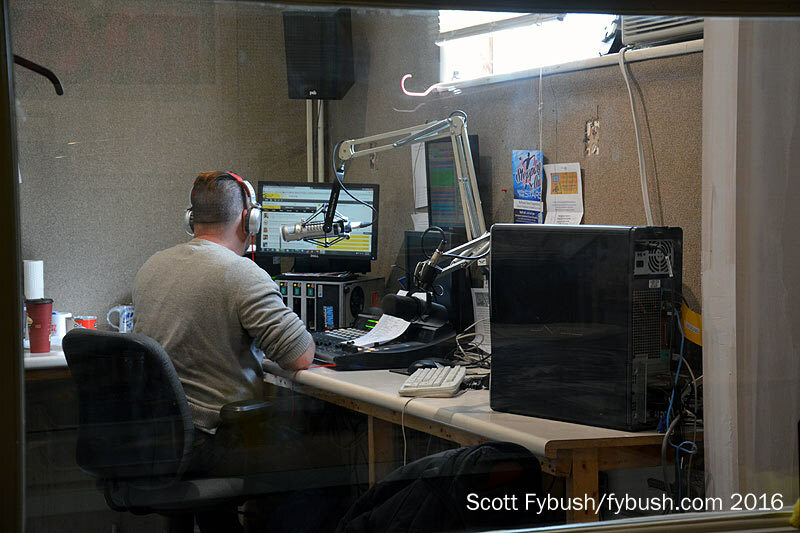 The studio part of the newsroom sits just inside the front windows, but you need to peer through signage to see them from the street. 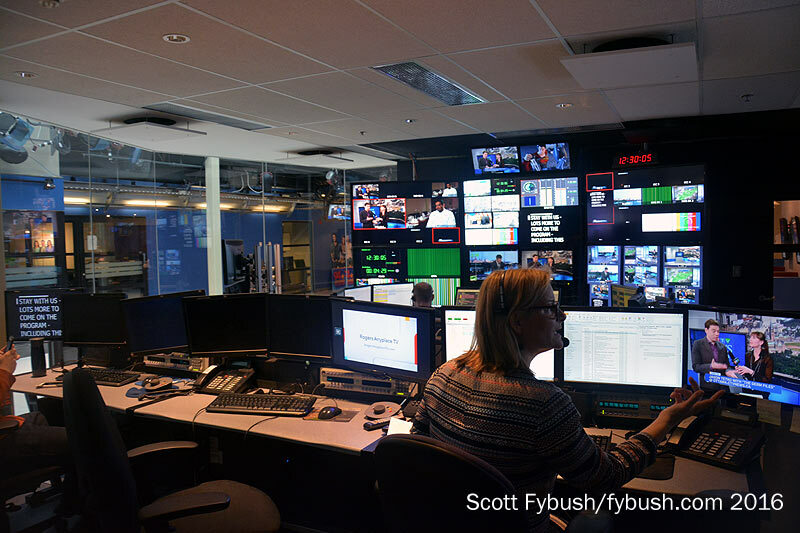 The control room for the newscasts is across the main atrium from the newsroom; master control, as for all of CTV’s local stations, is at the CTV production center in Toronto’s Agincourt neighborhood. 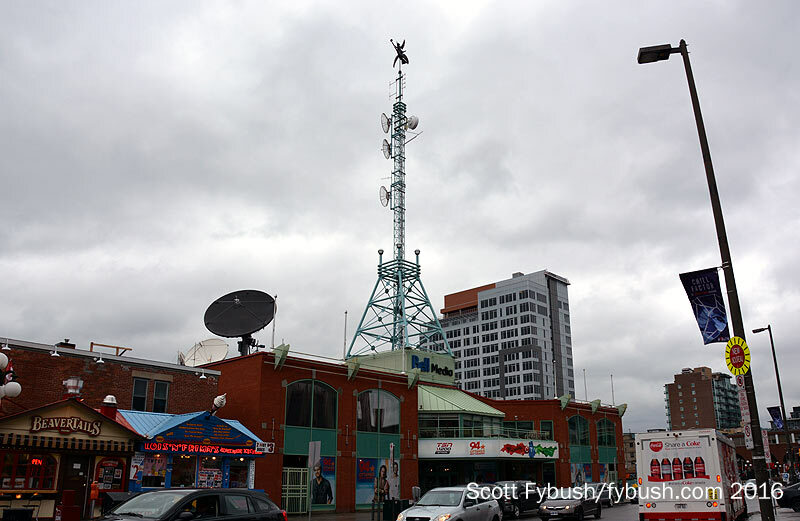 Under CHUM, the “Media Mall” included not only CHRO-TV but also, starting in 2000, the CHUM radio stations in the capital. 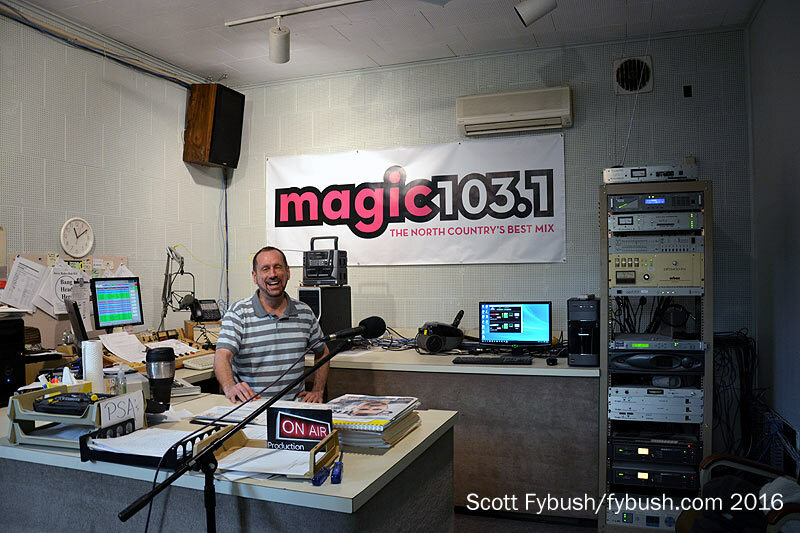 Talk CFRA (580) and CKKL (93.9) moved from suburban studios south of town, while sports CFGO (1200) and AC CJMJ (Majic 100.3) came in from studios out to the west. This having been a shopping mall, there was – and still is! 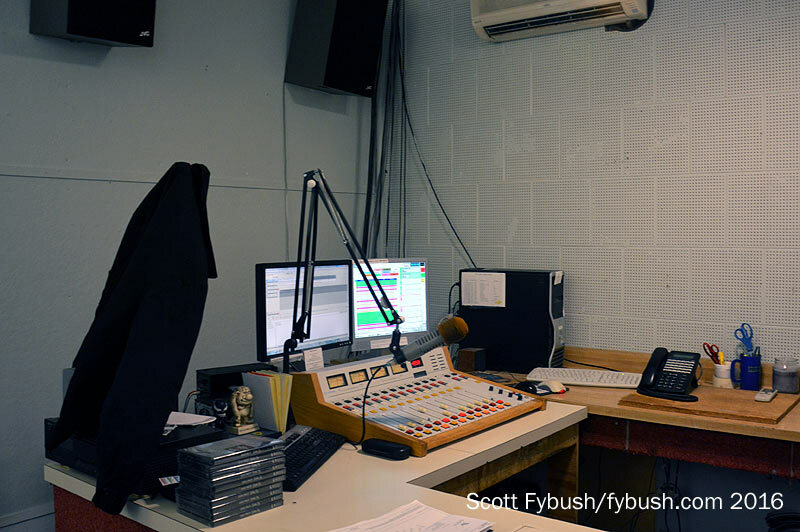 – an escalator that goes upstairs, and that’s where we find radio lined up along the front end of the building. 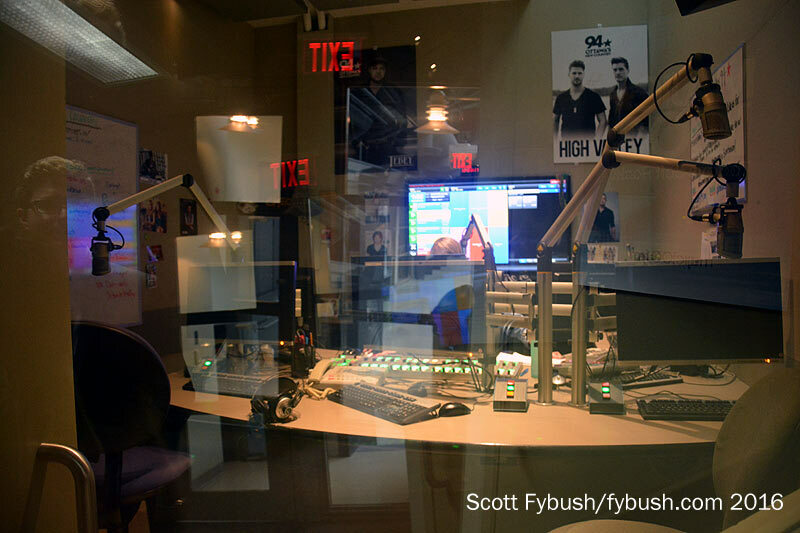 CKKL (now “Country 93.9” after a fairly recent format change) and CJMJ have their own studio pod on one end, flanking the CFRA newsroom. 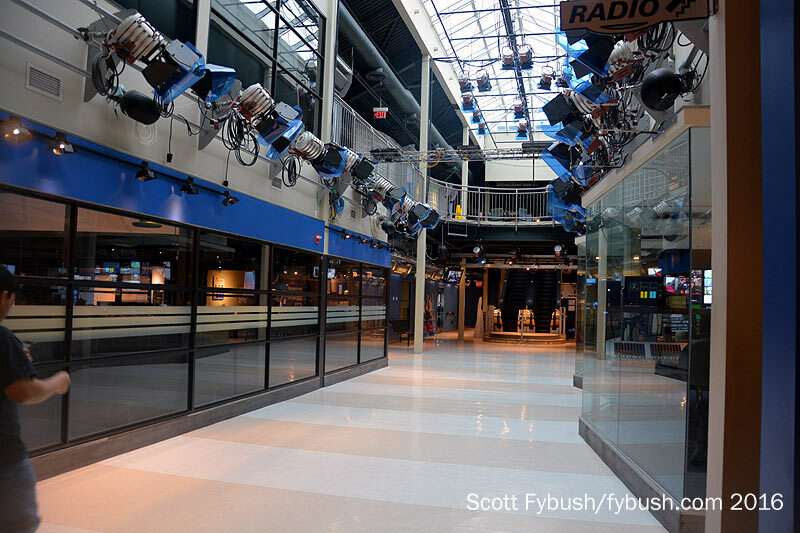 At the other end of the newsroom, another hallway passes the CFGO sports studio and the CFRA control room and studio. Where to next? 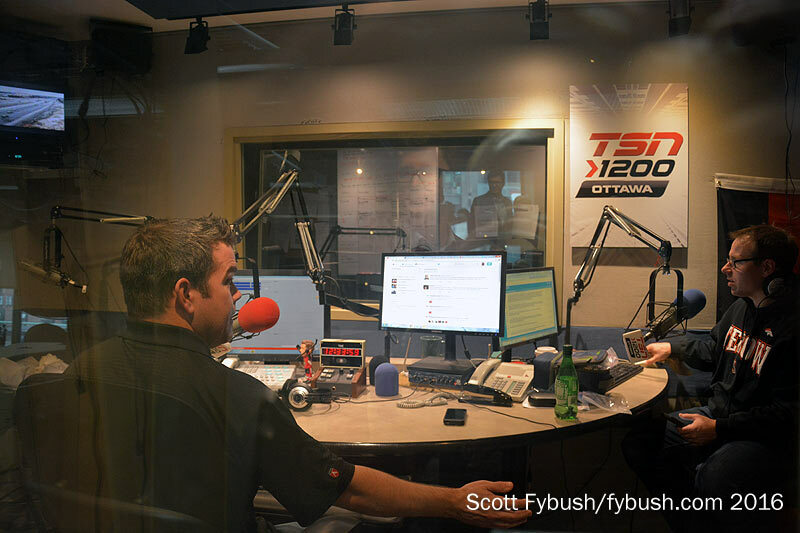 Join us again next week as we show you some big broadcast facilities a couple of hours down the road in Montreal! And don’t miss a big batch of Ottawa IDs next Wednesday, over at our sister site, TopHour.com!